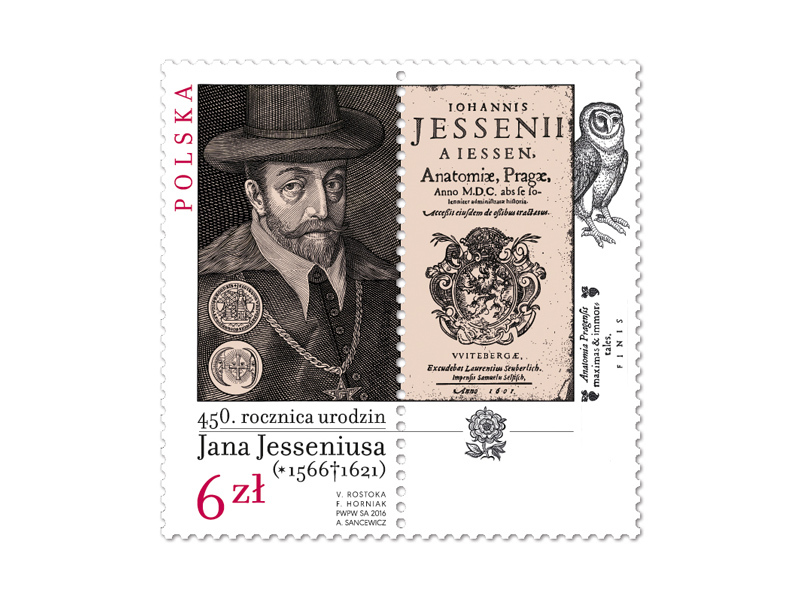 COLLECTORZPEDIA: Poland 2016 - 450th Anniversary - Jan Jessenius 1566-1621. 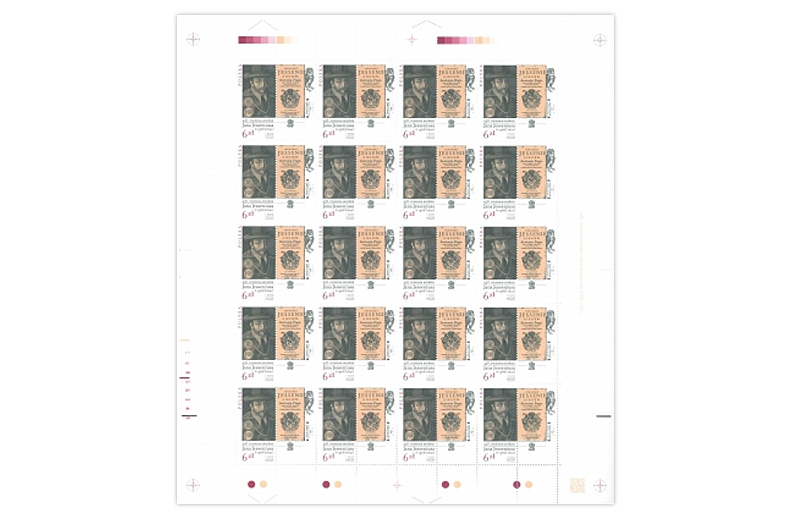 Czech-Hungarian-Polish-Slovak Joint Stamp Issue. 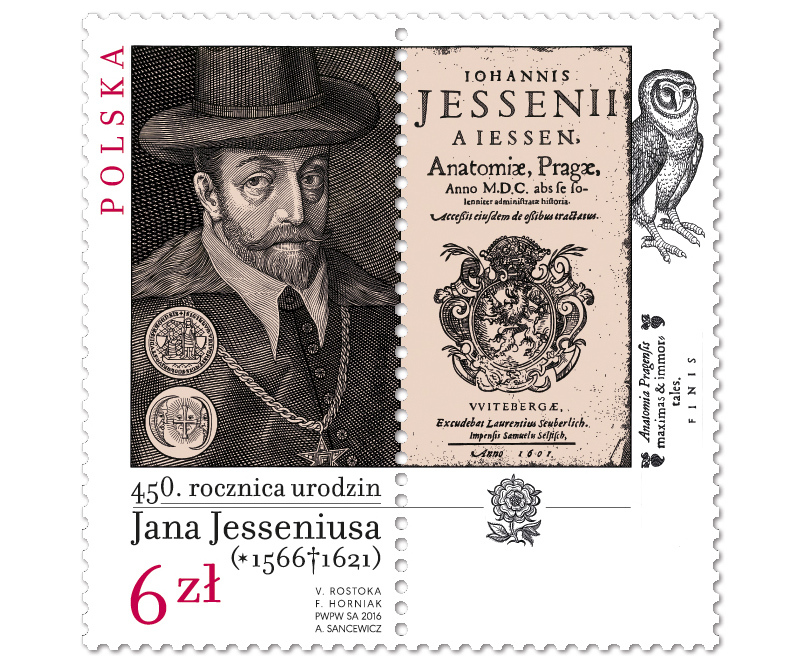 Poland 2016 - 450th Anniversary - Jan Jessenius 1566-1621. Czech-Hungarian-Polish-Slovak Joint Stamp Issue. 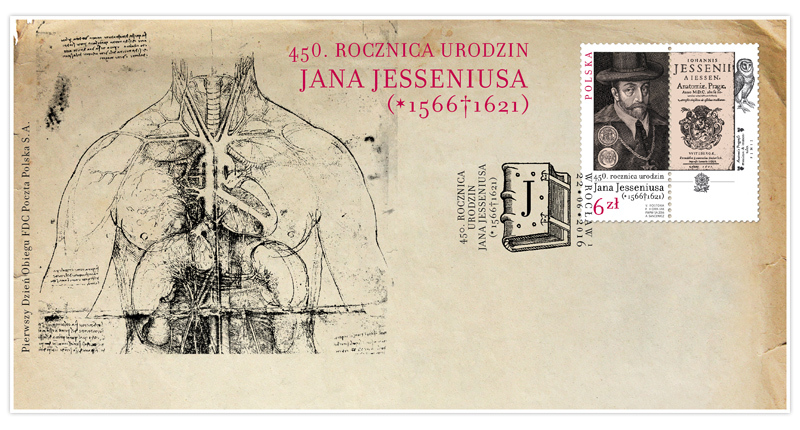 Jan Jesenius (1566-1621) was a Slovak, Polish, Bohemian or German physician, politician and philosopher. In 1618, Jesenius was arrested in Pressburg (today: Bratislava, Slovakia) after being sent as a deputy by the Bohemian estates, and was held in a prison of Vienna. In December, he was released in exchange for two Habsburg captives. There is a legend that before his release, he wrote an inscription IMMMM on the wall of his prison cell. Ferdinand explained this as Imperator Mathias Mense Martio Morietur (Latin for "Emperor Mathias will die in the month of March"), and he wrote another prophecy next to it: Iesseni, Mentiris, Mala Morte Morieris ("Jesenius, you lie, you will die a horrible death"). Both predictions (or wishes?) came true: Emperor Mathias died in March 1619, and Jesenius was arrested after the defeat of King Frederick of Bohemia by Emperor Ferdinand II in 1620 (Battle of White Mountain) and executed, along with 26 other Bohemian estates leaders, on the Old Town Square in 1621. 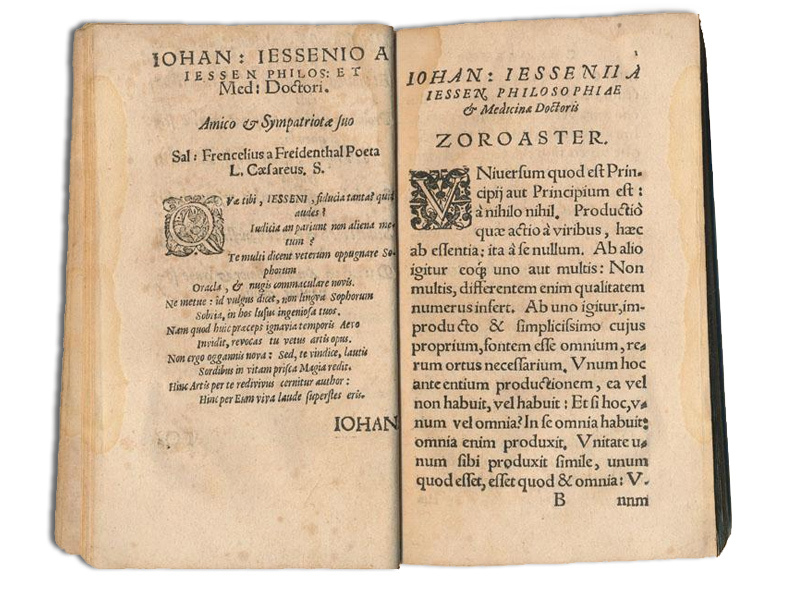 His most important philosophical work was Zoroaster (1593), a work of universal philosophy which attempted to recover the lost wisdom of the ancients.